It can be a challenge making a house into a home! It's always great to personalize your decor with items that have special meaning to you and your family, but you have to also be careful not to go overboard and get cluttered. Here is a little nook in my home that I used to display some special items. We LOVE to travel and usually pick out one special souvenir from each trip to bring home with us. 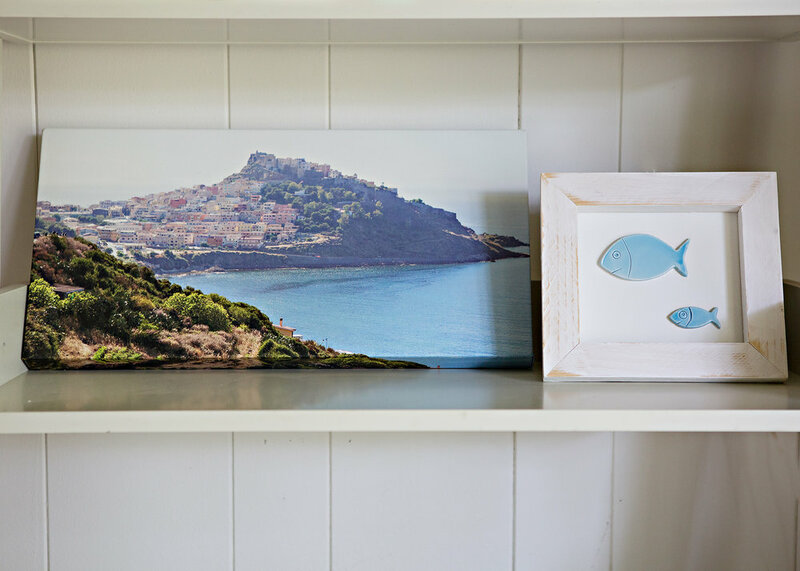 On our trip to #Sardinia a few summers ago, we brought home this cute framed fish piece that we found at a local craft market in the village where we stayed. I then printed one of the photos that I took from the trip and had it done as a 10x20 canvas print. What about photos? Are you not into the idea of many large family photos on the wall? Or just have too many photos and not enough wall space? I love this bulletin board from Ballard that I put in our mudroom. 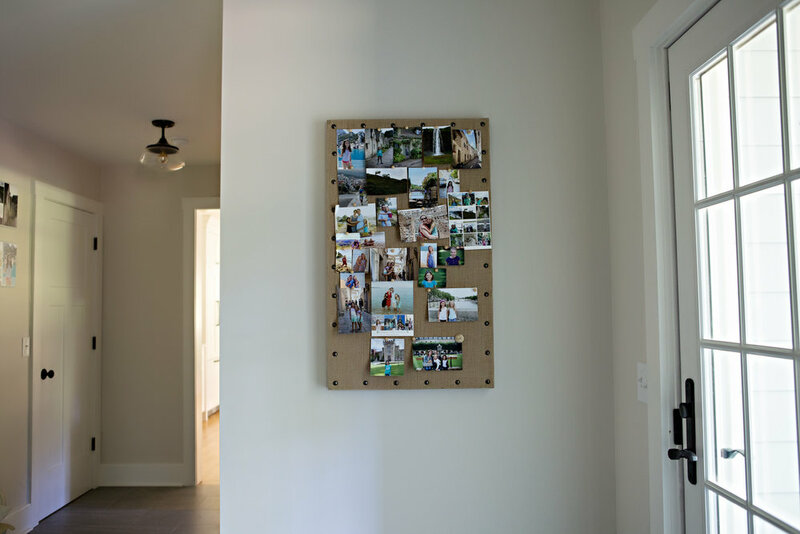 With push pins it is so easy to swap out photos and it is a great way to display a bunch of photos without taking up a lot of space on the wall. 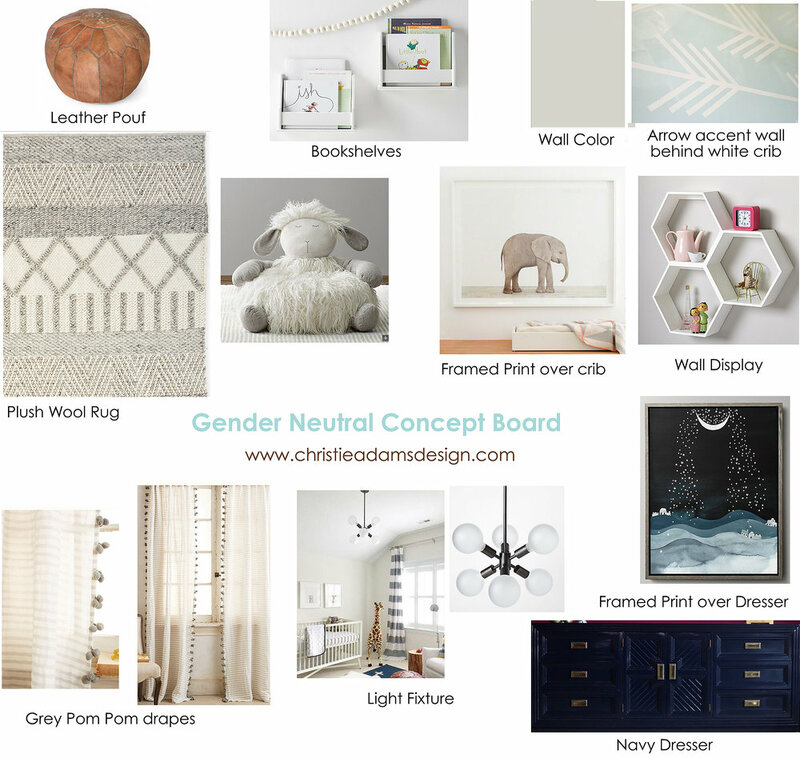 Christie Adams Design is an interior designer based in Bergen County New Jersey. Available for travel throughout northern NJ, Christie offers many interior design and decorating services to homeowners. She also works with builders and developers in the Ridgewood /Wyckoff / Glen Rock area.